Ligthart knows that in South East Asia contacts between businesses and government institutions tend to go differently than in his motherland. “It is therefore of importance that the Embassy creates opportunities these companies are not able to generate themselves and I make a contribution in a number of ways. I organise information sessions with the economic department and we take stock of what is important to the Dutch business sector. 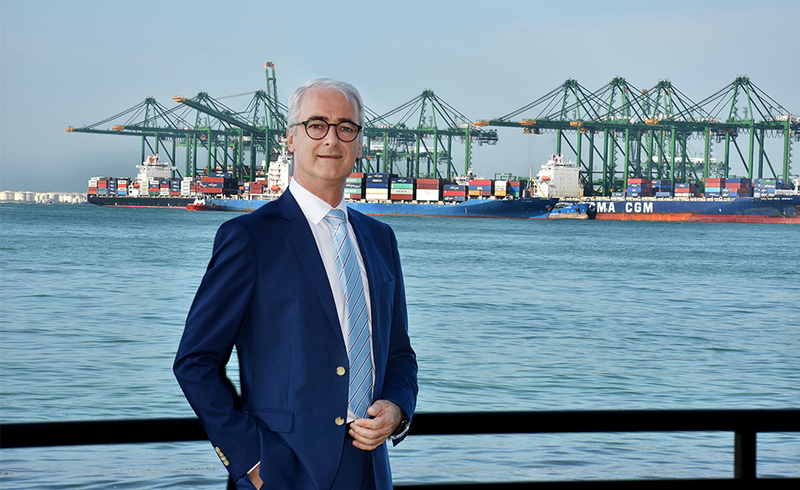 What are the problems Dutch companies come across in Hanoi and Ho Chi Minh City where imports or exports are concerned? What are the points for improvement? In addition, we talk to any visiting trade delegations about the relations in the region. The ASEAN countries do not have a customs union like the European Union. Certain issues come up, which in Europe are no longer relevant in intra-Community transport for the business sector. At the moment four Dutch customs attachés are active in Brazil, Beijing, Singapore and Moscow. In addition, there is a counsellor Customs Affairs in Brussels and a financial counsellor in Washington. The financial counsellor maintains contact with IMF and the World Bank and partly represents Dutch interests where Customs are concerned. The attachés are posted abroad for three to four years and they have their working base at the Dutch Embassy in the host country. Their duties consist of the coordination of their work with the economic department and with attachés from other departments such as agriculture and police. Other duties comprise giving advice to Dutch Customs and local customs authorities and helping in the drawing up and the implementation of mutual assistance treaties and Memoranda of Understanding (MOU’s) and arranging training sessions for the customs section. Furthermore, they contribute to combating fraud, and they cooperate with other enforcement agencies including the Dutch Public Prosecution Service. The attachés indirectly support the Dutch business sector by aiming for smarter customs procedures together with the host country. In turn, a number of other countries have customs officials in the Netherlands – such as the United Kingdom, Germany and the United States – but they often have somewhat different positions. The British focus more on fiscal intelligence whilst France and Germany mainly focus on criminal investigations. The Americans are mainly concerned with safety issues such as pre-clearance.